Leak repairs, clogged drain cleared, garbage disposal installed, water heater repaired, water softeners and purification systems, sink and faucet installations, toilet, tub and shower repair & replacement, kitchen & bathroom plumbing, gas line relocation and more! QUALITY, VALUE AND A GREAT PRICE! Open 24 hours including holidays and accept cash, check, credit card. 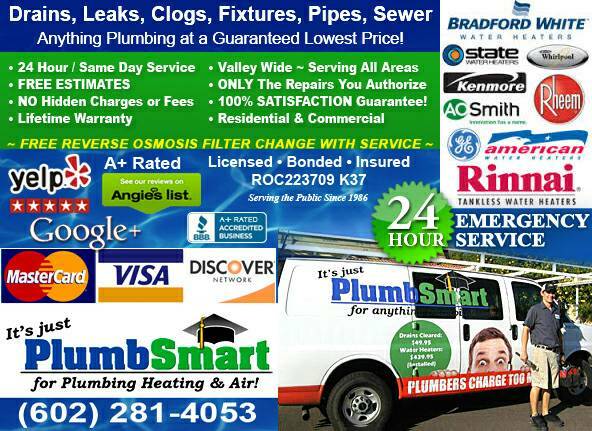 We want to be YOUR plumbing company! video sewer camera inspection, video rooter, rooter camera, rooter service, rooter services, see what your drains look like.